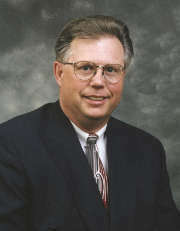 Chuck has been involved in Real Estate since 2003. He is a licensed Broker in the State of Illinois and Sales Associate here in Florida. He is also a certified Seniors's Real Estate Professional through the National Association of Realtors as well as a Certified New Home Sales Professional through the National Association of Home Builders. My experience lies with all types of residential home sales including manufactured, modular and new construction. Chuck is also certified in relocation. Chuck and his wife Cheryl moved to the Nature Coast from Central Illinois. Prior to becoming involved in Real Estate, Chuck was a Law Enforcement Office for 30 years. Chuck and Cheryl share one son together who is a personal trainer and gym owner in a suburb of Chicago and one daughter who is a Pharmaceutical Representative in Orlando. They have two grandchildren who are both currently in College.